His Beatitude, Metropolitan Tikhon, sent a message of condolence to His Holiness, Patriarch Kirill of Moscow offering the prayers of the hierarchs, clergy, monastics and faithful of the Orthodox Church in America upon the repose of His Beatitude, Metropolitan Volodymyr of Kyiv and All Ukraine on Saturday, July 5, 2014. 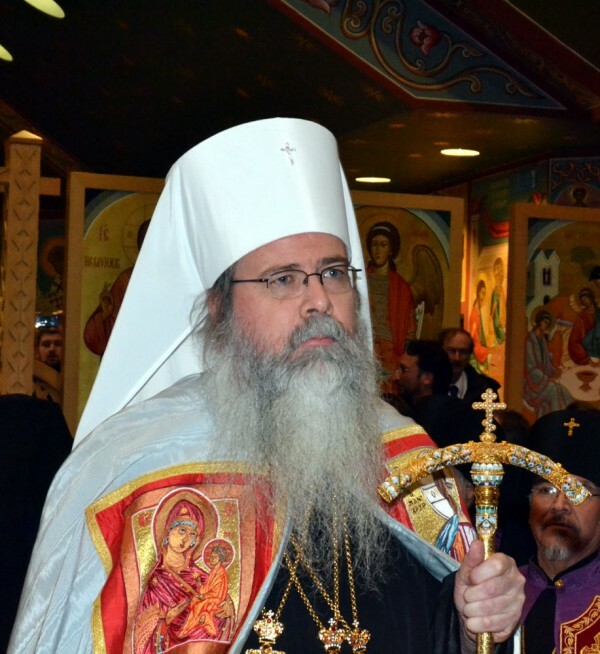 With Metropolitan Tikhon’s blessing, His Grace, Bishop Alexander and Archimandrite Alexander [Pihach] represented the OCA at Metropolitan Volodymyr’s funeral in the Ukrainian capital on Monday, July 7. It is with deep sadness that we heard about the falling asleep in the Lord of His Beatitude, Metropolitan Volodymyr. His Beatitude was a remarkable Hierarch, a wonderful Shepherd, a good Servant in the Orthodox Church, a wise friend of the Orthodox Church in America. Metropolitan Volodymyr’s life spanned and was marked by the remarkable events of the twentieth century. He was a shepherd who fearlessly led his flock through the times of the Soviet yoke. During the time of Ukrainian state independence, accompanied by political and social change, he encouraged and led the spiritual and intellectual renewal of the Ukrainian Orthodox Church – its dioceses, parishes, seminaries, monasteries, clergy and faithful—while at the same protecting the canonical unity of the Orthodox Church and striving for the peace and unity of Orthodoxy in Ukraine. The labors of His Beatitude will be crowned by the words of our Master, “Well done, good and faithful servant! You have been faithful with a few things; I will put you in charge of many things. Come and share your master’s happiness!” [Matthew 25:23]. On behalf of the Holy Synod of the Orthodox Church in America, and all her clergy, monastics and faithful, please accept our sincere condolences to Your Holiness, and all the monastics, clergy and faithful of the Orthodox Church in Ukraine, and the entire Moscow Patriarchate.